What's it like to work at Start.ca? Start.ca is looking to add a highly motivated UI/UX Software Developer to our Development team. The UI/UX Software Developer is responsible for creating and translating UI/UX design wireframes into a responsive reality and creating a unique and elegant interaction between users and our applications across all platforms. If you are an exceptionally talented UI/UX Software Developer who takes pride in being part of a dynamic team, Start.ca could be for you! Working closely with project teams to review product requirements and design compelling user interfaces with a focus on user experience and aesthetics. Defining, design, and implement, frontend code for development projects, using a multitude of technologies: HTML, React, Bootstrap, Foundation and CSS. Suggesting user stories and requirements that need to be considered for implementation. Conveying vision and concepts through both low and high fidelity wireframes, flows, storyboards and mock-ups as appropriate to the task. Conducting usability testing via one on one interactions or focus groups, when appropriate for the task. Troubleshooting and resolve problems with existing application code. Writing well designed, testable, efficient code by using software development best-practices. Completing well documented UX guidelines for all projects. Collaborating with marketing department designers to match visual design intent. Actively participate in project and team meetings, offering recommendations/ideas on development projects and for improvements in the overall development process. Taking ownership over assigned projects, ensuring projects are completed within set timelines. Providing feedback, guidance, and advocate performance and maintainable code through code reviews and face-to-face conversations. Actively participate in project and team meetings, offering recommendations/ideas on development projects and for improvements in the overall development process. Working and participate in a highly agile team, sharing information and providing input to design and build solutions. Staying current with trends, techniques, technology, and other factors impacting the role and team. Other appropriate responsibilities relevant to the role today and the role as it may evolve. A degree/diploma in Computer Programming and Design, or equivalent professional experience. 4-6 years’ experience working in team based software development shop with a solid foundation in UI/UX design. Excellent verbal and written communication skills are a must. Experience with one or more prototyping/wireframing tools (i.e. InVision, balsamiq). o Object oriented programming concepts. Previously worked in an agile development environment and is comfortable in team structures using scrum. The ability to write understandable, testable code with a focus towards maintainability. Demonstrated ability to meet project deadlines without compromising quality of work. Strong communication skills with the ability to explain complex technical concepts to all levels of the organization. Excellent teamwork and team building skills coupled with the passion to act as a technical mentor who is keen to support others and share ideas within the team. Exceptional time management skills, multitasking skills, and the ability to prioritize tasks with minimal supervision. Ability to identify problems and situations, take appropriate action, implement solutions, or escalate as required. We are a telecommunications company located in London, ON and we provide internet, Television and phone solutions. We are devoted to delivering a world class customer experience with each and every customer interaction. 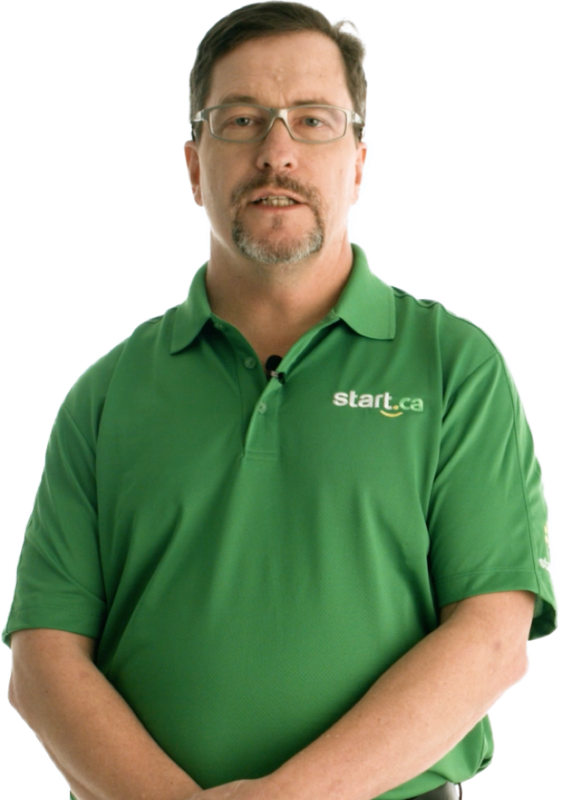 At Start.ca, we live by our core values: Friendly, Smart, Honest, Reliable, Forward and Involved. We have a dynamic, reputable, and FUN company culture - it’s what brings our employees here and keeps them here. As we grow, we want our employees to grow with us through our career advancement opportunities and continuous professional development. Diversity is important to us, and we believe our differences make us a better company. Our differences help us to be innovative, with new attitudes, new processes, and new solutions to difficult problems. We respect our differences and this respect is shared throughout our culture. Are you a high energy, motivated team player? Start.ca could be the place for you! Questions, or want to send your resume and cover letter for future consideration? Email us.